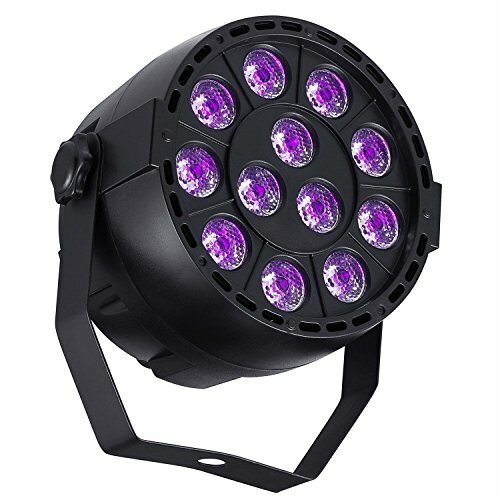 Features: ● Easy control by Remote, high power ultraviolet light unit. ● Comes with brackets for mounting or just let it stand on the floor. 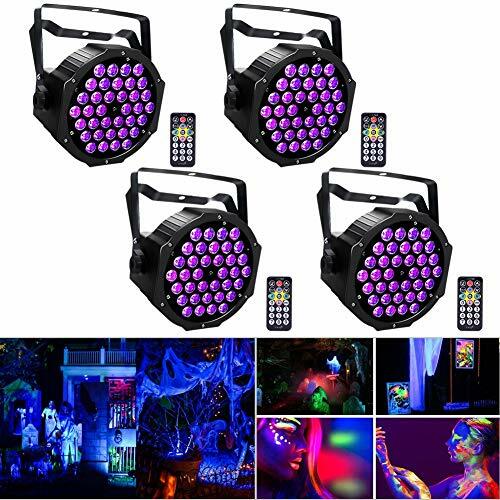 ● Create stunning atmospheres at parties, works great with UV body paints & fluorescents. ● Small size and lightweight, stylish and compact design, can be adjusted to multiple positions. 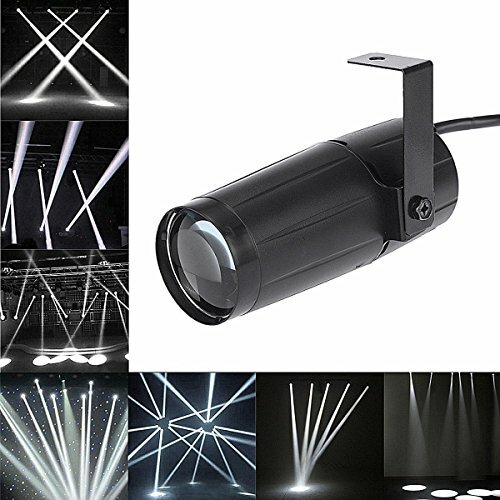 Specification Lighting Color: UV LED Quantity: 36 LED * 2W Beam Angel: (25°/45° Optional) Size: 7.20*7*3.54in Wire Length: 31 inch DMX channels: 7 Working Voltage: AC 100-240V, 50-60Hz Play Mode: Sound Active, AUTO, DMX, Master/Slave Interface: 3 pins XLR jack for DMX or Maser-Slave linking Weight: 0.83kg x 4 / 1.83lb x 4 Package List 4 x Stage Light 4 x Remote Control 8 x Brackets 8 x Screws 4 x User Manual Q&A Q: Will this light up a one car garage? A: Yes, it can light up a one car garage, which can cover a 25-foot area easily. Q: How long is the lifespan of LEDs? And is there maximum running time? A: The lifespan of LEDs is approximately 50,000 hours. 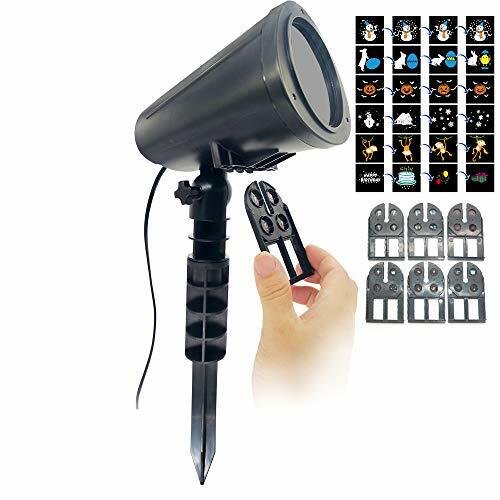 Q: Can this black light be used outside? A: Yes, but please do not use it on a rainy day, because it's not waterproof. 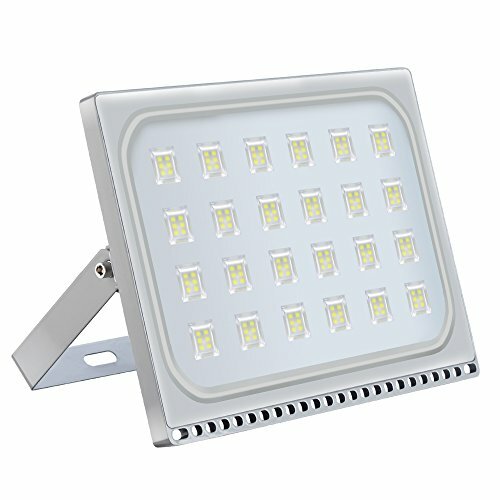 Specification Material: Aluminum + PC Lamp Beads Type: 2835 Wattage: 150W Voltage: 110V Luminous Flux: 16500 Beam Angle: 120° Lamp Body Adjust Angle: 180° Color temperature: 6000-6500K Light color: Cold White Base color: White Safety Certification : CE Product Dimension: 11.65 x 8.11 x 1.57 in Product Weight: 1.314KG / 1.6265(include package) Package Includes 1* 150w LED Flood Light 1* 150w User Manual Efficent Cooling ● With qualified aluminum case, this flood light has an excellent heat dissipation performance, which effectively prolongs its lifespan. Safety and Durable ● Exposed cables with special standard anti-aging, anti-UV outdoor rubber cable. ● Die-cast aluminum, scratch and fade resistant. Efficient cooling structure. Special appearance against electrostatic and corrosion. 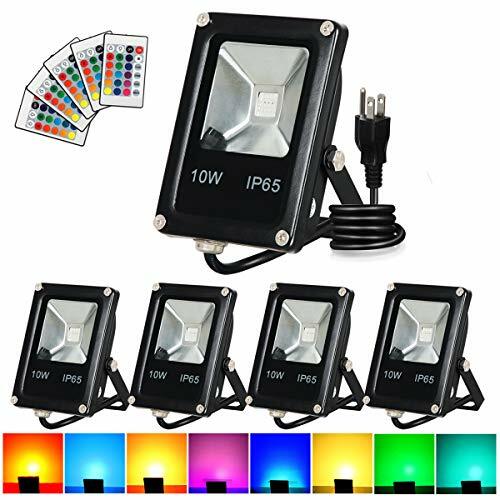 ● IP67 waterproof rating ensure your light work very well in all kinds of weather.Reliable in outdoor lighting applications. Warranty Service ● Free 1 year warranty Fast Shipping ● We have warehouses in the USA, so you can get your parcel within 3~7days. Control Method Remote Controller / DMX Controller / Button Controller with LED display. 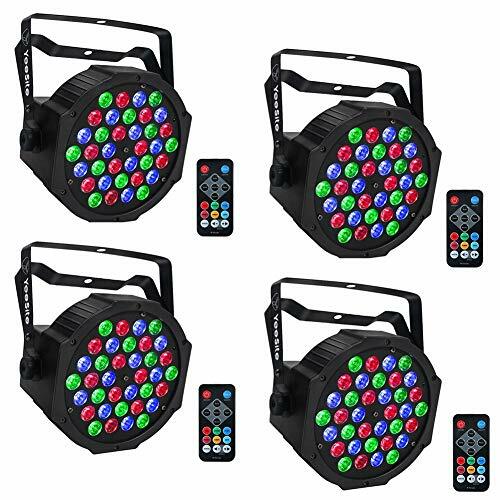 Mode Option 1.Static color mode / 2.Color changing mode / 3.Color fade mode / 4.Auto-Play mode / 5.Sound active mode / 6.Master-Slave mode / 7.DMX mode. Hand it Up Easy The knobs to attach the handle are already on this light, unscrew them, attach the handle, and screw the knobs back in, hand it up any position you like. 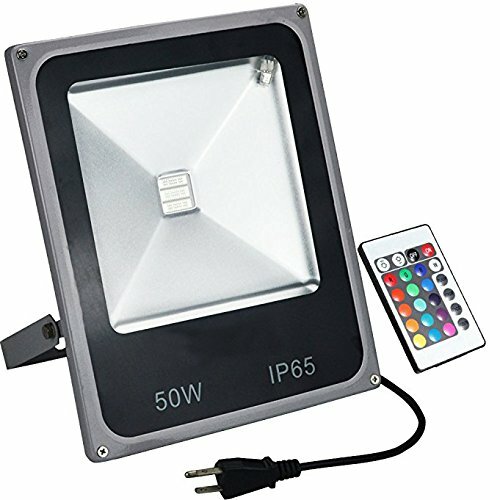 Specifications: ● Material: Plastics + Metal panel ● Item size: 6.9 x6.9 x3.9in ● Source: AC220V/110V ● Power: 40W (included 36W led + 4W Power) ● Light Source: 36x1W LED(12Red+12Green+12Blue) ● Net Weight: 0.6Kg What in the Box: ● 4 x 36 LED Par Light ● 4 x Remote Controls ● 1 x User Manual ● 4 x Holder Q&A Q: can I use four lights with only one remote? A: one remote can work with four lights with one by one. Q: how dos the master slave option work? A: set the main unit/first unit with function you want, the second/slave units set with SLAV. Here's my attempt to help those out there who are not sure which effect does what & also what effect may work best for them Enjoy!